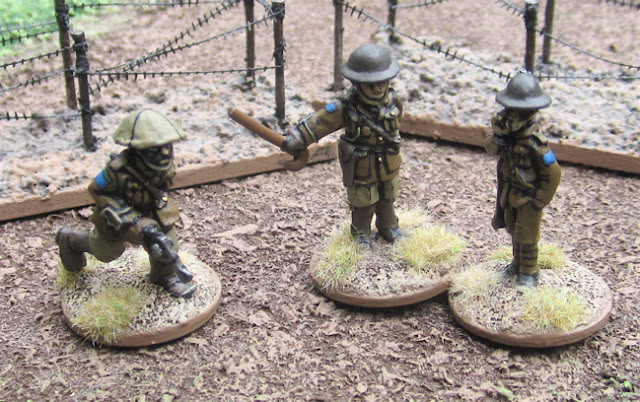 As an interim objective in the Vimy Project (and to raise some local awareness of the project) I am putting on a game at ToonCon 2016 that I am calling REGINA TRENCH! ToonCon 2016 takes place on 23-25 September 2016 – just before the 100th anniversary of the attack on Thiepval Ridge at the Somme. On 26 September 1916 the British Reserve army kicked off an offensive to take Thiepval Ridge, which dominated the upper Anchre River valley on the Somme Front. 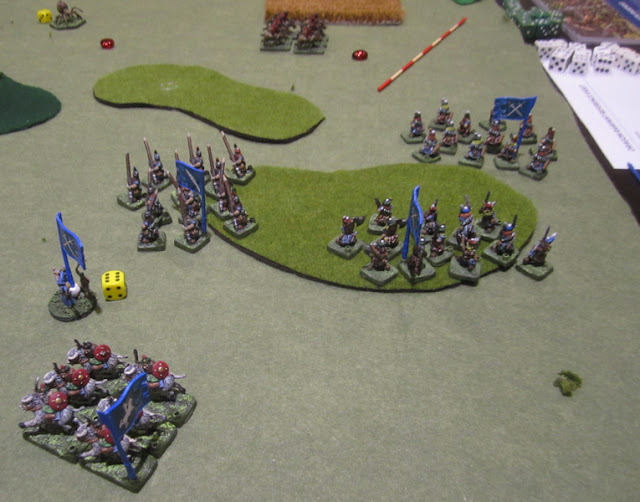 On the army’s right, The Canadian Corps attacked with elements of two divisions on a spur of the ridge. 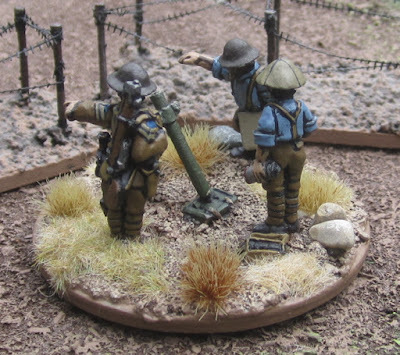 The First Division’s objective was to clear out Zollern Graben and Hessian Trench. Regina Trench itself, further to the rear, was not initially considered an objective as there wasn’t enough information available about the state of the barbed wire entanglements before the trench. Historically speaking, though gains were made and some assaulting Canadians actually made it to Regina Trench on the 26th, they were obliged to give it up under relentless counter attacks from the Germans, and retire to previously captured lines. Regina Trench was finally captured later in October. I’m calling the event Regina Trench, however, because I thought it might more succinctly indicate what the event is about. “Trench” is pretty much synonymous with “World War One” and Regina is the capitol of Saskatchewan (the province in which I live), and thus I’d hoped people would immediately glean from the name that the event is a game set in the Great War and that there might be some local (or at least Canadian) involvement. If I’d called it the “Battle of Thiepval Ridge” I doubt many would have had any idea what war it had taken place in, much less that there was any Canadian involvement. 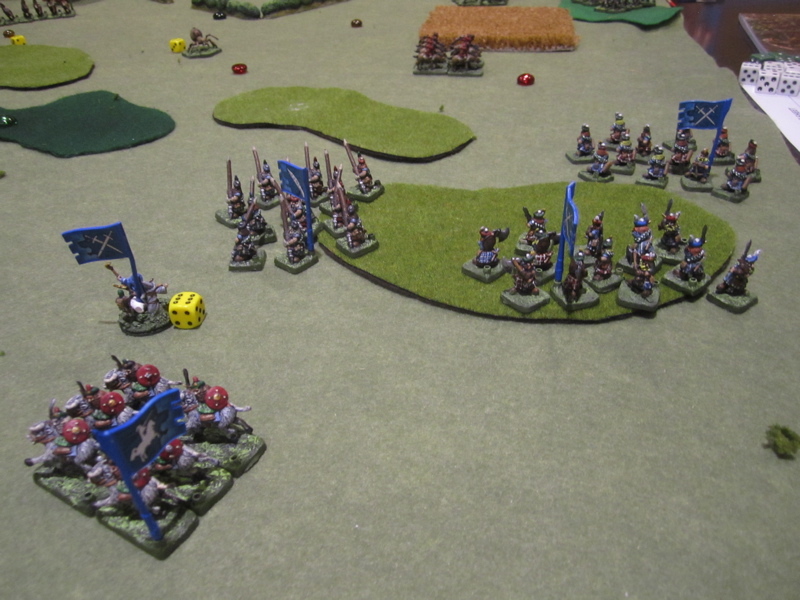 As it stands I have the scenario and terrain (more or less) all mapped out and most of the figures are painted. The Terrain, unlike the Vimy terrain, which I am purpose building to be a fairly accurate replica, will be made up of a more generic modular trench system of three lines (which will be designated Zollern Graben, Hessian/Sudbury Trench and Regina/Kenora Trench) that could be used for other battles. 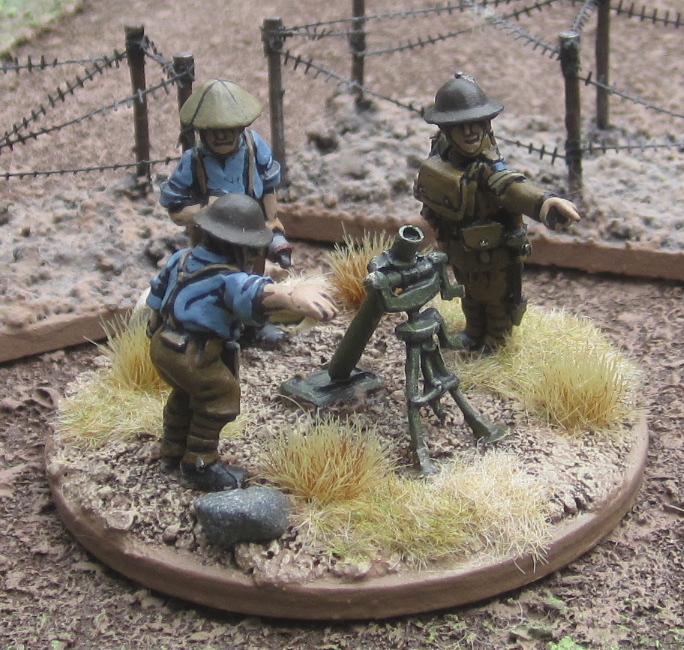 Over the coming weeks I will post updates on the progress of the terrain building. For rules I will be falling back on my modified Contemptible Little Armies (2nd Edition) – the rules are simple, straightforward, and streamlined enough that anyone should be able to play – regardless of experience (or lack thereof) with miniature games or knowledge of military history or tactics. The preparatory barrage will be all mapped out as part of the scenario – the challenge for the players will be to more forward and get into the enemy trench line quickly before the Germans have time to set up after the bombardment passes over them. If those slots fill up really quick and there ends up being a waiting list, I have considered possibly expanding the frontage and including part of the 2nd Division’s part of the attack. Stay tuned for trench line terrain building updates and pictures of new Great War Figures painted for this project! Finally settling back into a groove (after our long vacation) and finishing up a few thinks I’d started before I left. ToonCon is coming up in just over 4 weeks and I have a fair bit to do yet (mostly terrain). I will do a post about the event I am running shortly. More on the Vimy Project and Regina Trench! 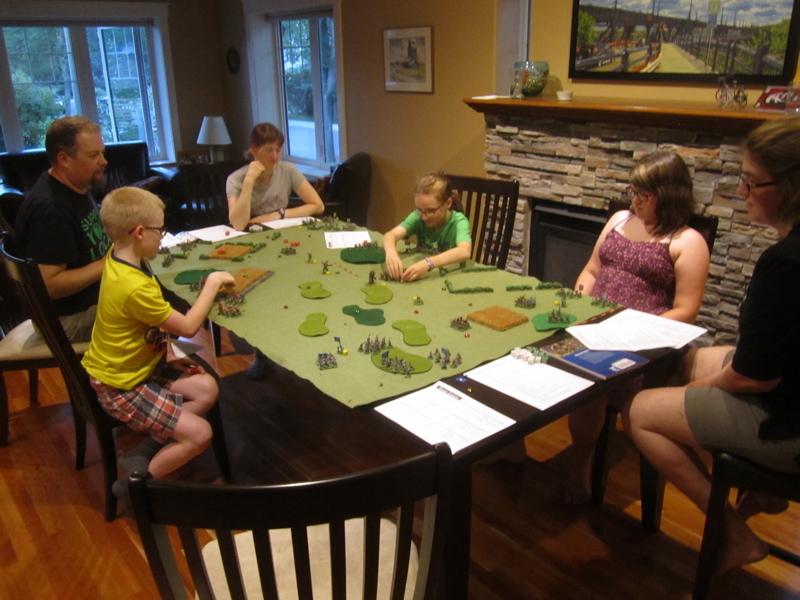 In Edmonton I did get to hook up with Bob and his family and got to play some Dragon Rampant! 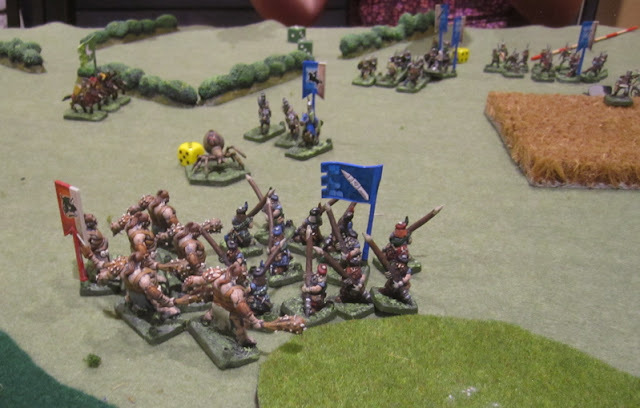 We used all his beautifully painted BattleLore Figures. Next to me was The Boy and his monstrous minions. 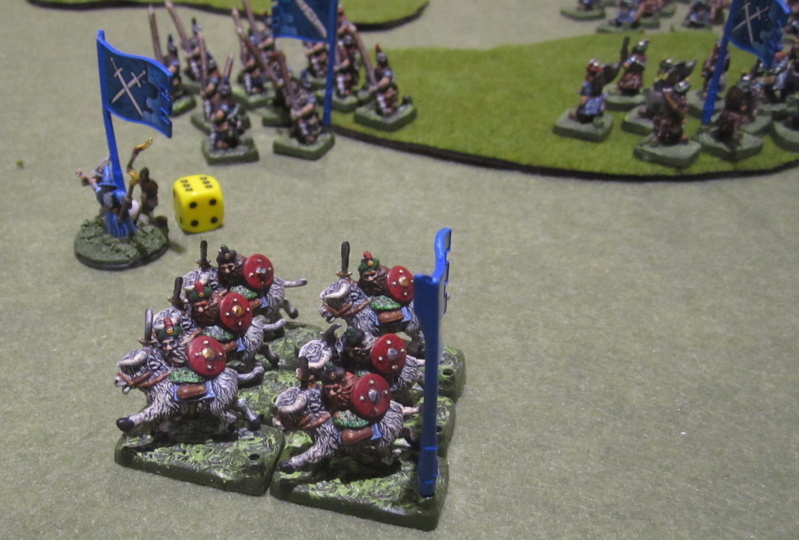 My Highland Dwarf Ponyriders… despite their supposed impetuaosity, I don’t think they moved more than once in the whole game! There were three different colours of gems and we didn’t know the value of them until the very end. I had only three red gems at the end, but they all turned out to be super valuable so I ended up winning! Huzzah! 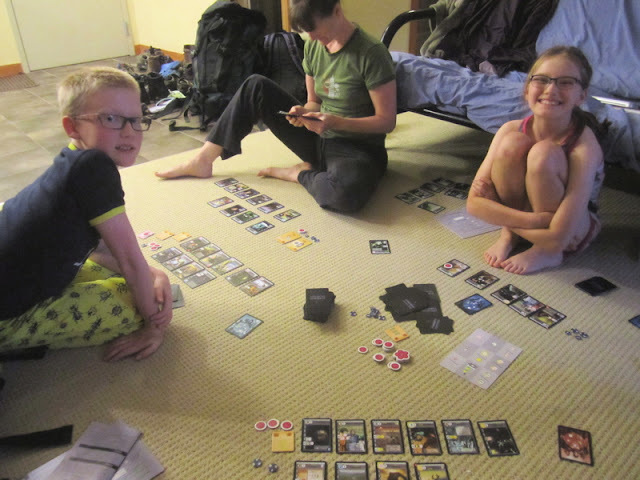 Fun games + good company = great evening! I also met up with my friend CVT in Edmonton – with whom I have played many games. 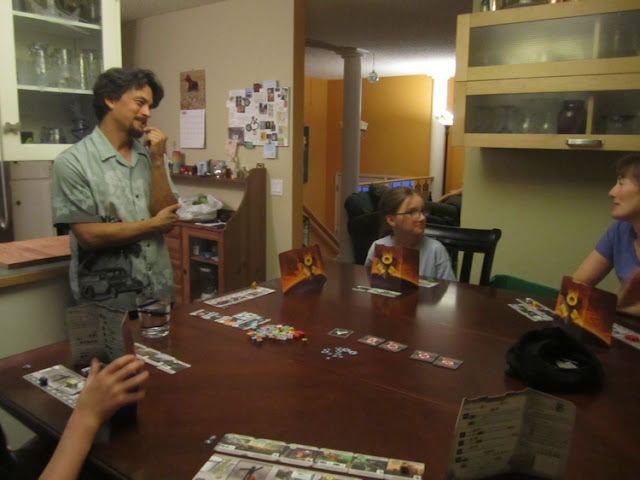 We didn’t get to tossing dice or pushing little men about a table – but it was still good to meet up with him again. Next time we’ll bust out the toys! 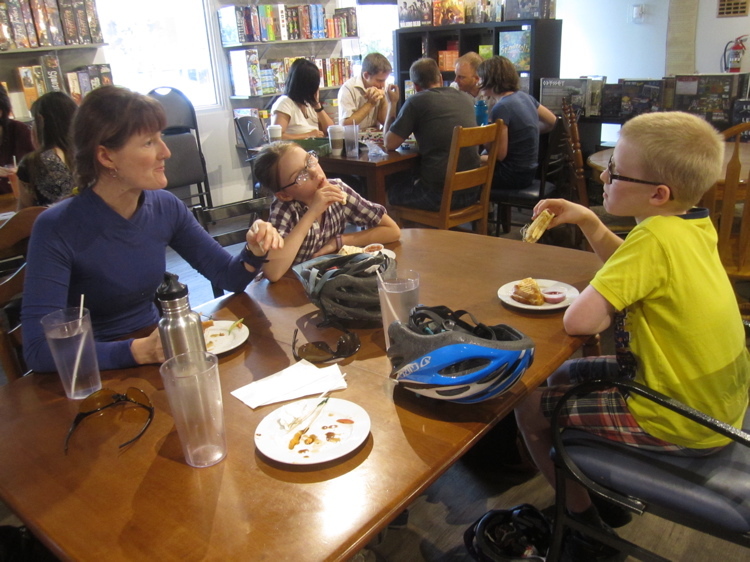 We did get to stop in at a Board Game Café in Edmonton as well… but didn’t have time to play any games… The Girl did buy herself a new game – Bananagrams! 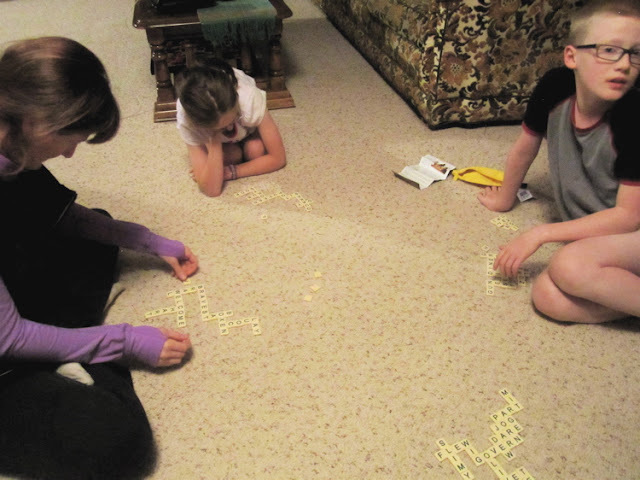 We did play Bananagrams a few times over the vacation – in Jasper and Canmore. One game I totally rocked it with the Alien stuff – I think I had 91 victory points at the end!!! I had meant to take a bunch of pics of the store – with the kids running around like maniacs – eyes buggin out to their heads – but once I got there I got too wrapped up in searching through their treasures. 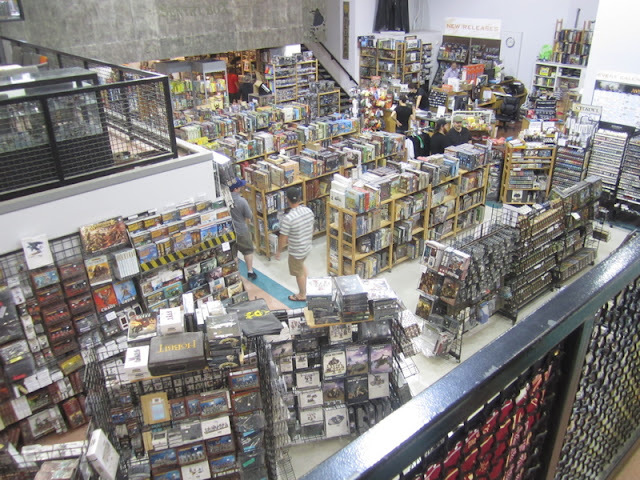 This is really just part of the store… This is the mezzanine area where games are played, the picture above looks down at the board game area and part of the GW stuff. 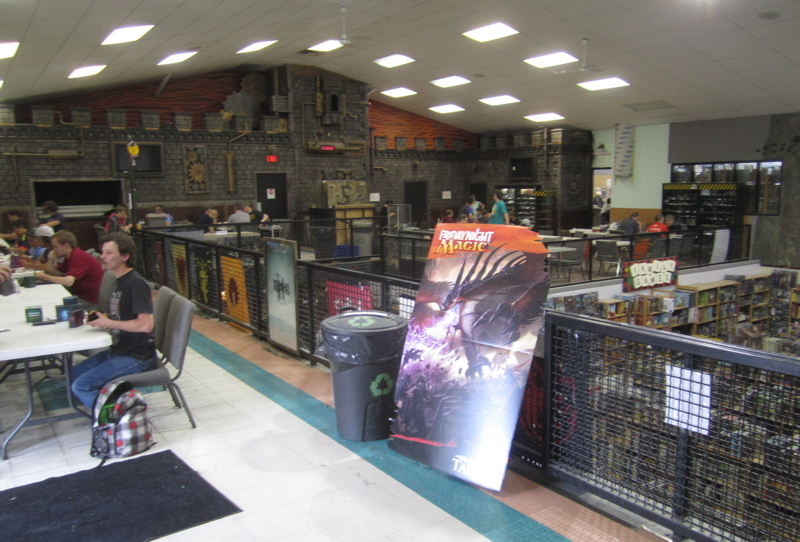 Below this mezzanine area is a huge area for Role-playing games and collectable card games of all sorts. Beyond that board game area is an HUGE area filled with science fiction and fantasy novels – that’s bigger than most book stores I’ve been in lately. ABOVE the novle area (up those stairs barely vidible at the top is another entire section devoted solely to HISTORICAL subjects – board games, miniatures, books… (I spent most of my time up there…). 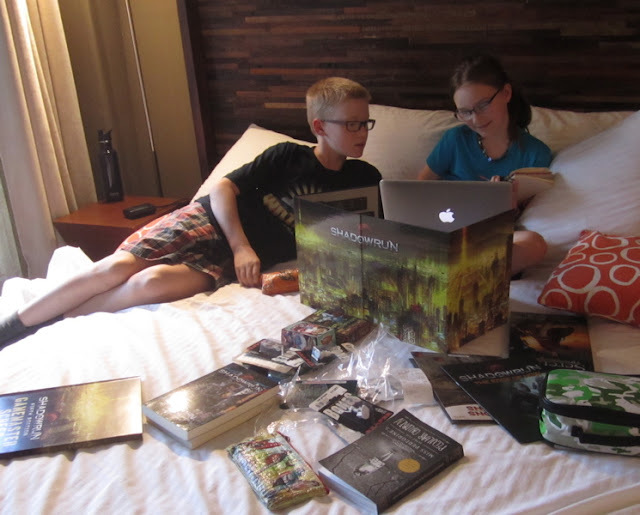 When The Boy finally bought his stuff he mostly picked up some D&D graphic novels (Dragonlance Classics? I think...?) and a new Star Wars RPG game - the Force Awakens beginner box. 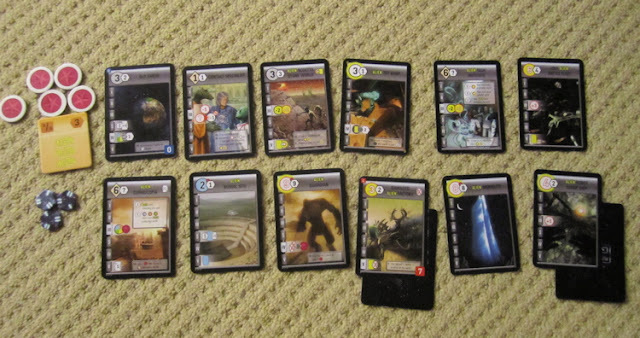 My haul from the Sentry Box. 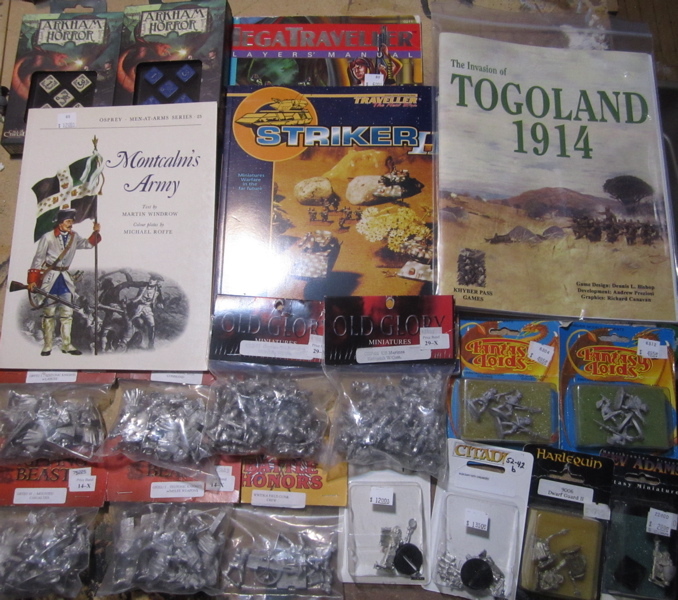 With the exception of the GW figures and Arkham Horror dice, most of this had been sitting on their shelves since the last time I was there…. Probably been on their shelves since longer than the kids have been alive... I wasn't interested in new stuff - new stuff I can get at my friendly local game store - Dragon's Den Games - it's the old weird stuff they've had forever tucked away in the back corners that i was looking for... 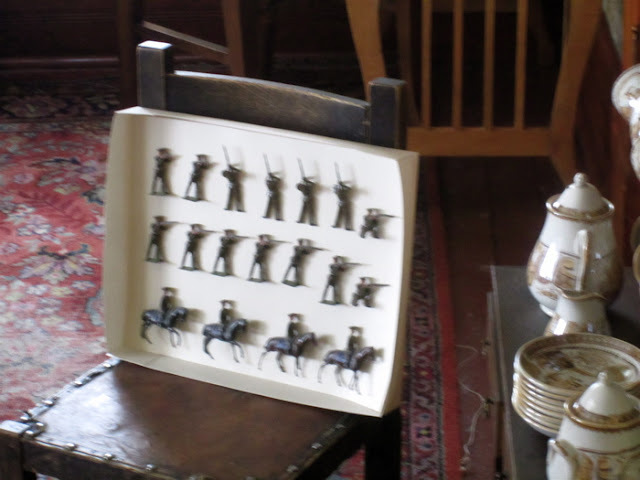 Unfortunately some of the stuff listed in their online catalogue - was tucked so far away that no one there knew where it was... so I had to settle for this lot. 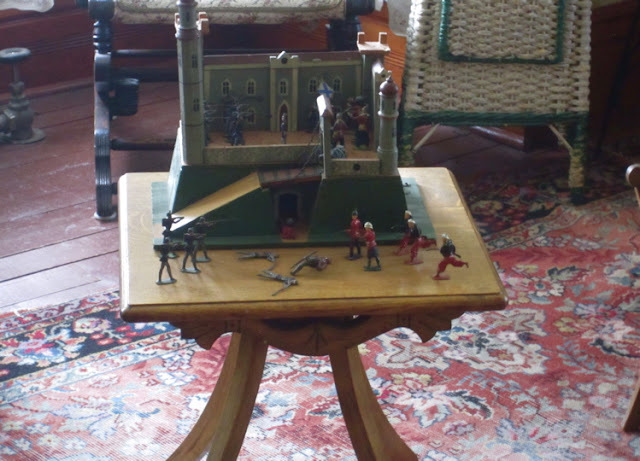 We spent a day at Heritage Park in Calgary and one of the houses had a small display of Toy Soldiers. Curse those dark rooms where I cant' take clear photos!. 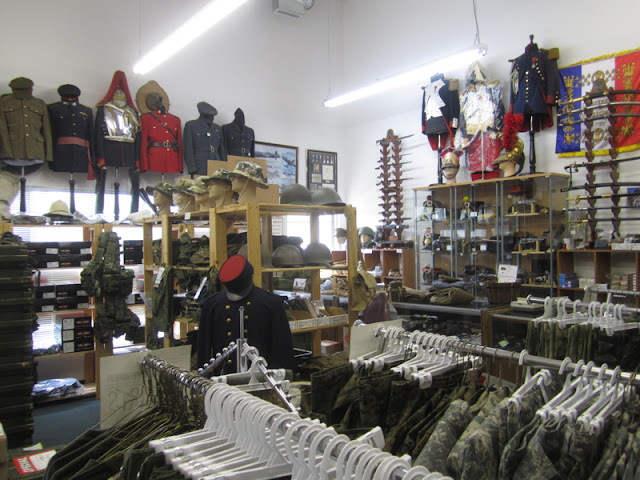 I also stopped by Things Military in Calgary and picked up a replica Canadian Great War uniform... for... reasons... more about that later! I did get to go to Cory’s the last day there for a fabulous meal of roasted veggies and veggie sausages and finally got to meet his partner Martha! 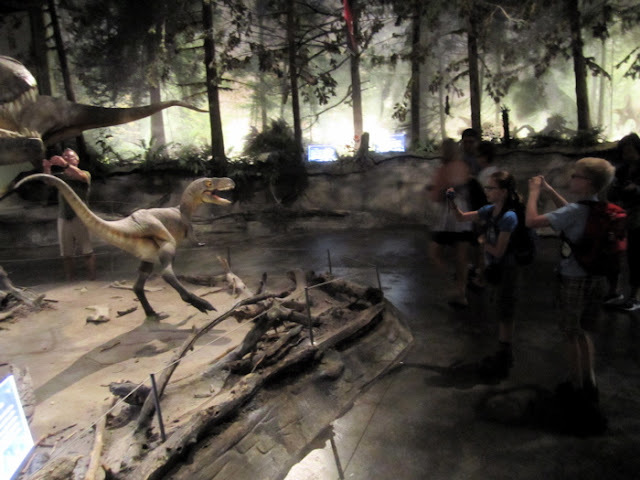 We did visit the Royal Tyrrell Museum in Drumheller – but I was all vacationed out and just wasn’t into it – all I could think about was hopefully being able to use The Men Who Would Be Kings (coming out SOON!) for VSF adventures of hunting dinosaurs on Venus?! And now I’m back and need to get working on the Vimy Project and my game for ToonCon (Regina Trench!) coming up in just FIVE WEEKS – more about that soon - registration is open and there are only four slots (of which one has already been filled! ).